This shop has been compensated by Collective Bias, Inc. and it’s advertiser. All opinions are mine alone. #GiftAndShare #CollectiveBias. The following content is intended for readers who are 21 or older. 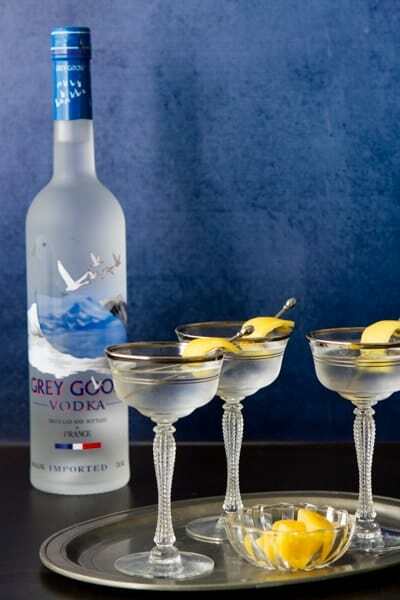 Celebrate the holidays in style with this Grey Goose Martini- a Vodka martini with a Twist! This Grey Goose Martini is smooth and dry with a bit of citrus and a hit of salt! A classic vodka martini, this Grey Goose Martini riffs on the classic dirty martini and may become your new “go to” vodka martini!!! 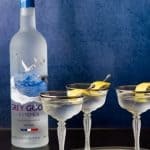 Why Choose Grey Goose for this Vodka Martini? Taste and quality. 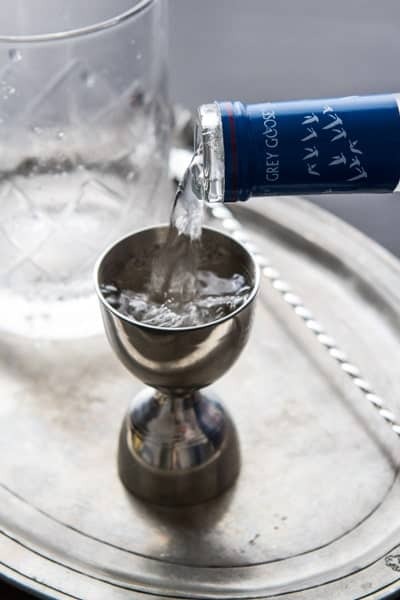 Grey Goose Vodka is smooth, with hints of cracked pepper, anise and vanilla. 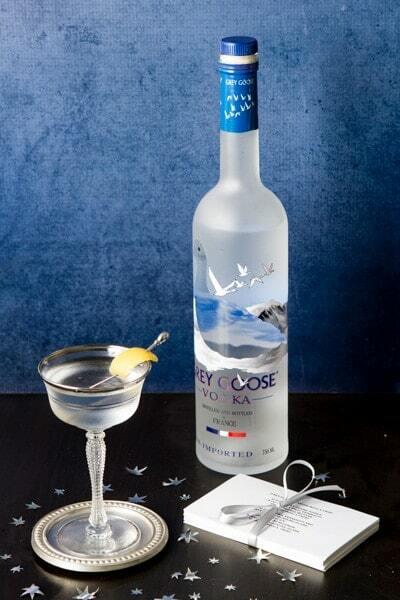 Produced in France, Grey Goose is made from a soft, winter wheat grown in the Picardy region, where the spirit is distilled. After distillation, the distillate is sent to Cognac, France where it is blended with the calcium rich waters from an underground limestone spring and then bottled. 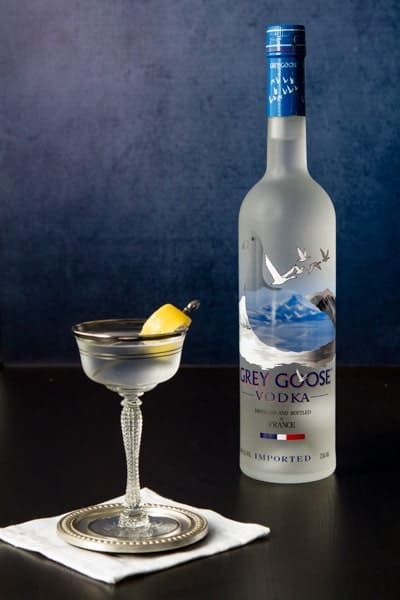 This care and attention to detail results in a superior spirit that works beautifully in a number of cocktails, including this Grey Goose Martini! I love to serve a “signature” cocktail at parties and get togethers – it’s a wonderful ice breaker (no pun intended) and it’s a lovely way to welcome friends and family during the holidays. This year it’s going to be this a vodka martini. This classic cocktail, made from Grey Goose Vodka and Noilly Prat vermouth could not be simpler to make or serve! How to make A Grey Goose Martini…. Step #1: Pour a shot of Grey Goose Original Vodka.. Step #2: Add to a mixing glass along with the vermouth and bitters. Add ice and stir! Step #3: Pour into a chilled cocktail glass.. Step #4: Garnish and serve! 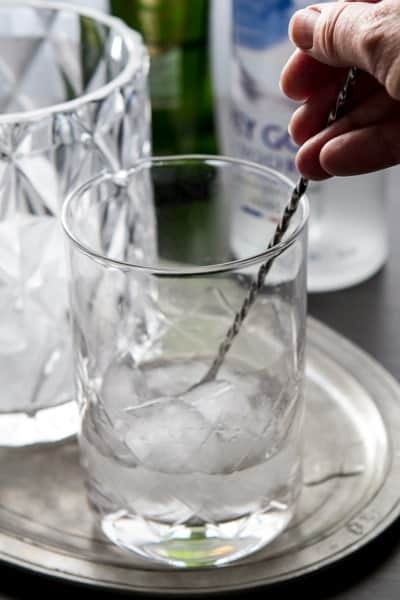 I know my guests will love this “twist” on the classic vodka martini cocktail. With a nod to the “dirty martini lovers”, I’ve substituted a strip of preserved lemon in place of the standard strip of lemon zest. The citrus adds a refreshing note and the salt… well, need I say more? 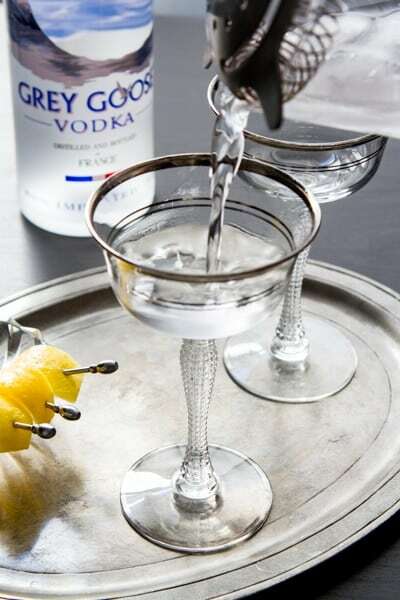 Speaking of serving- here’s a “tip”: For large parties set up a DIY bar and let your guests mix up their own Grey Goose Martini! 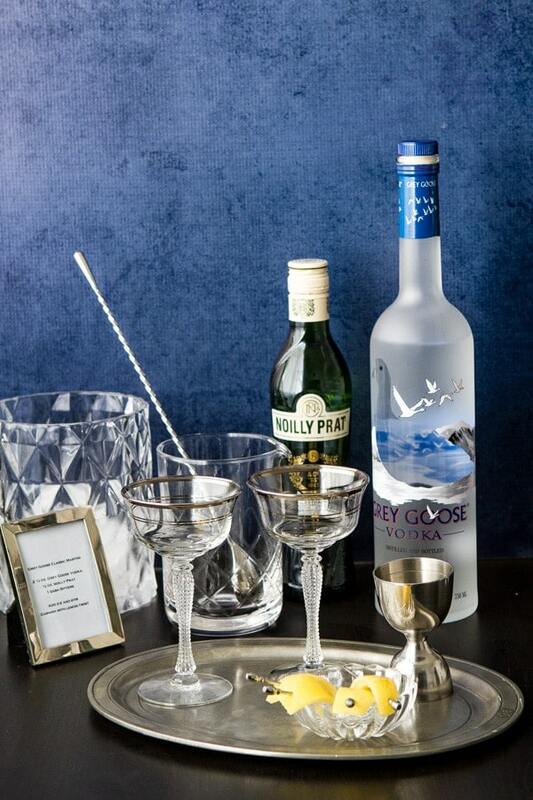 A lovely, classic vodka martini cocktail and a bottle of Grey Goose Vodka… what could be simpler? The classic vodka martini with a twist - with a nod to the dirty martini lovers substitute the usual lemon twist with a twist of preserved lemon!